Jeff DeMark and the Gila Monsters play Saturday, April 30 at 7:30 p.m. at the Old Steeple. In a sense, all songs are stories; the ones with lyrics are little more explicit (sometimes), but even instrumental music shares something about the human experience. In many cultures — I'm guessing — songs and music are more clearly understood as a vehicle for a story. That's not to say that we don't understand that link here in the good ol' U.S. of A., but perhaps it's just that with the amount of pop crap saturating the airwaves it's easy for us to ignore the massive volume of stories that rarely say anything. On a recent Sunday afternoon I had a chance to sit down over some whiskey with a local songwriter/storyteller/Badger fan Jeff DeMark, who is very clear about songs being synonymous with stories. His lawnmower was still warm as I showed up for our interview (I don't remember asking any questions). My primary concern regarded his show with The Gila Monsters on Saturday (more below), but what I found most interesting was his assertion that everyone has a story, or rather, a lifetime of stories. Not every one is thrilling or dramatic, but just by the nature of us running out of time on this floating orb, our experiences simultaneously connect us and separate us from our fellow floaters. No matter how many boxes or stereotypes you think someone fits — from the cowboy hat wearin' Fortuna-ite, to the tie-dye rockin' Arcata-ite — each person is unique and more three-dimensional than we might first imagine. The stories we have, in our hearts or in our minds, are ours and ours alone. And music is a great way to share those stories. At risk of ruining one of Jeff's tales: He and some of his fellow "hipsters" from Wisconsin took a journey many years ago out to New York City in search of someone — who? You'll have to ask him. The friends find themselves in traffic in a yellow cab, where, through the window they see another yellow cab with Allen Ginsberg in the back. Unrolling the window quickly, Jeff's friend Jack yells out to Allen, who rolls down his window. "Where are you boys from?" The Cool One says. "We're hipsters from Wisconsin!" says Hipster Jack. "What are you looking for?" Gins says. "We're looking for stardom!" Jack retorts. "You want stardom? Look inside your heart," says Ginsburg, who then turns left and rolls off into what I imagine was a sunset. There's more in our hearts than we'll ever know. If there is one brand that has the Midas Touch, it is undoubtedly the Star Wars® franchise, which turns any lunchbox, t-shirt or ringtone into gold. For the record — and as a three-decade fan — I have no problem with that, and I'm glad that The HSU Symphonic Band will be golden at the Fulkerson Recital Hall at 8 p.m. The band will perform the original Star Wars Suite and, in addition to space music, you'll be treated to a world premiere by HSU professor/composer Brian Post. $8 for the performances, and may the Force be with you. 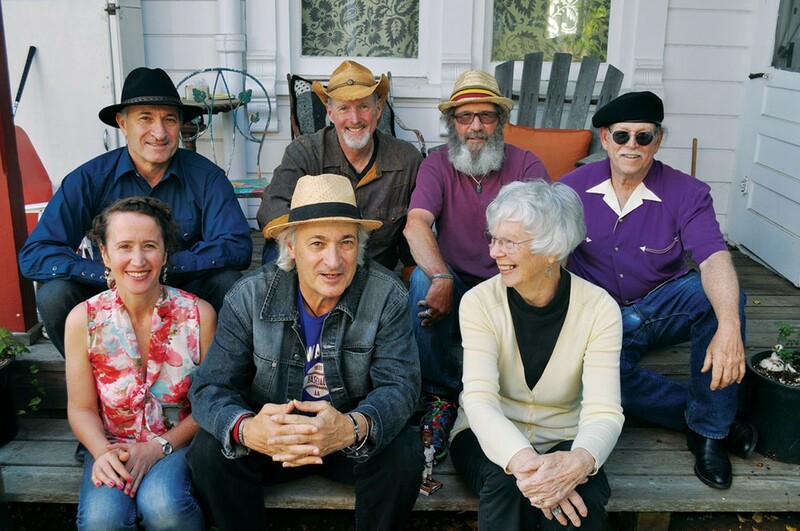 Countless emails alert me to the fact that Joanne Rand will be releasing her 15th album at The Sanctuary in Arcata. Touring nationally for more than 30 years, Joanne surrounds herself with a lineup of eminently talented local musicians (Tim Randles, Rob Diggins, and Piet Dalmolen). Catch 'em all at 8 p.m. with a $10-$20 sliding scale. Local DJs — and Deep Groove Society Alum — Marjo Lak, Basstard, and Baggà Dönüts join bass-obsessed Christian Martin at the Arcata Theatre Lounge. Bring $20 for this 9 p.m. show and get ready to groove. The Trouble will be at Humboldt Brews at 9:30 p.m. Bring $5 to hear the local barroom rockers. As mentioned above, Jeff DeMark & The Gila Monsters are putting on The Travel Show at The Old Steeple in Ferndale tonight at 7:30 p.m. There will be music provided by said Monsters (Talking Heads, Bob Dylan, and original songs) and five storytellers sharing personal stories with the common thread of "travel." "The show is an analog special — it's personal stories, human connection, laughs and deep feeling," DeMark says. "People have walked out of these shows telling their own stories and that's what it's all about." We've all got stories, some of us are brave enough to share them. If you've got $12 and you're lucky, you can find out who Jeff was looking for in NYC. At the Bayside Grange at the same time you'll find Kenny Ray & The Mighty Rovers playing "roots country, honky tonk and big band swing music" to benefit the Bayside Grange Kitchen Fund. Dinner is ready at 6:30 p.m. and $8 will get you in the door. For Celtic music, head over to Cafe Mokka at 8 p.m. to catch Good Company. This show's free and all ages. Local reverb-space rockers White Manna will be your rocket ship at The Alibi. The band is joined around 11 p.m. by Oakland "vape rockers" Life Coach. $5 gets you in the door. Local promoter/man of mystery Ian Hiler tells me that there will be a special early show at The Jam in Arcata. At 1 p.m. you can hear local bands Rogue's Gallery (Macktown stoner metal), Lord Ellis (Humboldt heavy rock) and Ultramafic (Eureka instrumental doom). It's all ages — whose children don't love heavy-stoner-doom-rock? — and only $5. So you can show your kids what Mommy and Daddy are into and skip the babysitter. Local songwriter Josephine Johnson will be at the Lighthouse Grill in Trinidad for free at 5 p.m.
And just an hour later you'll find out-of-towners (and micro-brewery lovers) You Knew Me When at the Mad River Brewery Tasting Room for free. This duo blends a "singer songwriter soul with a pop/rock mentality," which I imagine goes well with a DIPA. With a few more members, The Dustbowl Revival plays the Arcata Playhouse at 8 p.m. 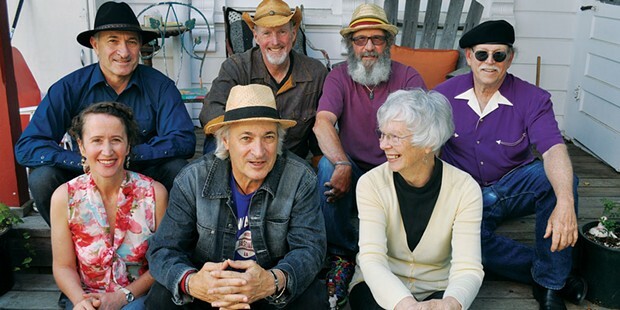 The Venice, California-based "American roots orchestra" with eight members features guitar, ukelele, mandolin, fiddle, trumpet, trombone, bass and drums. Apparently the LA Weekly (kind of like the NCJ of SoCal) dubbed the band the Best Live Band in L.A., so that's nothing to shake a banjo at. $18 for these SoCal award winners. Natural Vibrations — a.k.a. Natural Vibes, or Natty Vibes, or Natty V, or N Vibes, or Natural Vibrations — is at Humboldt Brews. From the windward side of Oahu (not to be confused with the hacks from the leeward side) this roots/reggae/rock/pop band has been jamming away since '96 and has had the honor of sharing the stage with the now universally missed artist known as Prince. 9 p.m. showtime with a $15 cover charge. Andy Powell is a congenital music lover and hosts The Night Show on KWPT 100.3 FM weeknights at 6 p.m. He likes floating.